Well the time is finally here to lose one hour of our beauty sleep! 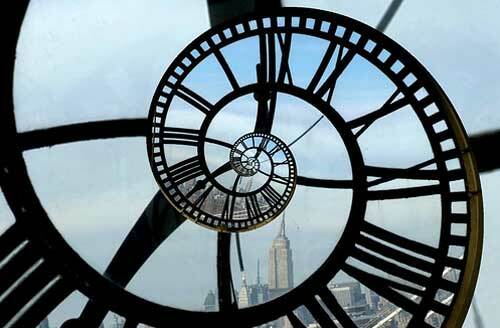 Daylight Savings Time takes effect in Europe 2 a.m. Sunday, March 25. So if you live in Europe like I do make sure you turn your clocks forward one hour. There are lots of neat facts have this Daylight savings time and lots of conterminous disagreements! So to learn more about this I have a quiz for you. Leave one answer per comment. I will be randomly selecting one winner by Random.org. One winner will get a $10 gift card to Amazon.com! While some of you might think the easiest way it to copy someone else’s answer, I wouldn’t they might wrong! 1. Name one country that does not follow Daylight Saving Time? 2. Name one USA state that does not follow Daylight Saving Time? 3. As of Feb. 2011 what country no longer follows Daylight Saving Time? 4. Why do we have Daylight Savings Time? 5. In what year was Daylight Saving Time first done? 7. Is it possible for a #2 child born in a set of twins by their mother to have on legal paperwork stating they there where the 1st born child instead and the 1st baby born is now the 2nd child born? Post your entries until March 31st 12 noon(CET). This entry was posted in Giveaways, Uncategorized and tagged giveaways. Bookmark the permalink. #2. I believe it’s Arizona! Japan does not use DST. Arizona does not use DST. as of Feb 2011 Russian is staying on DST year round. Arizona and Hawaii don’t use DST. I don’t know about other countries. Japan, India, and China are the only major industrialized countries that do not observe some form of daylight saving. We have DST to make better use of daylight. April 30, 1916 11:00 pm both Germany and Austria began saving daylight by moving the clock up one hour, and decrease an hour in October. Thus US started DST March 31, 1918. 4. Make better use of daylight. 5. Germany and Austria began daylight savings time on April 30, 1916 at 11:00pm. Most areas of Asia and Africa do not use daylight savings time. Hawaii does not use DST. As of Feb 2011 Russia no longer uses DST. We have DST to to increase evening daytime hours for outdoor leisure activities and to save on energy consumption. Germany & Austria started using DST in 1916. Minneapolis and St. Paul were separated by the Mississippi River and in the 1960′s Minneapolis was one hour ahead of St. Paul. Yes it is possible for twins to have their birth order changed due to DST. #2-Arizona doesn’t use daylight savings time! 7. Yes traveling over the international dateline while giving birth from Kiritimati to Honolulu. Twin 1 would be born in KIRITIMATI at 8am on 3/23. Twin 2 would be born in HONOLULU at 8:30-9am on 3/22. Or any of the other islands near the IDL. You would have to give birth on airplane. So according to the birth certificate baby 2 would be born first. It is implemented to help the ones who use it to get more sunlight. 4. To increase the number of productive daylight hours, make better use of daylight, and conserve energy and costs associated with energy. 8. Liked your Facebook page. 9. Follow you on Twitter as @babybraddy. 4. It is supposed to help make better use of the extra daylight that happens during the summer time. This is supposed to give extra light during the after-work hours and also to save electricity. 5. DST was first suggested by Ben Franklin in 1784, but the “modern” version wasn’t suggested until 1895. On Apirl 30, 1916 DST was first implemented in Europe. 7. yes it it. Child #1 is born at 1:59 AM . Then DST ends before Child #2 is born. Anytime in the next hour, if Child #2 is born, then it shows it as being between 1 AM and 1:59 AM. A Visit to...Upside Down House!